Ah, the beloved upgrade notice. It’s always a nice encounter. It fixes bugs and, occasionally, introduces new features, to the beloved WordPress CMS. While I’m always for upgrading whenever possible, there are those who would like to stay with the version they have. This may be for reasons such as developers modifying the core WP files (which I personally don’t recommend) or other reasons. Heck, some people may simply be worried that a new version could introduce security vulnerabilities (especially in the case of new features). Easy. The message is hidden and no core hacking is necessary. 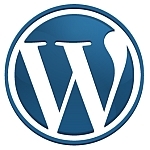 Yes, it works on WordPress 3.7.1 (in case you don’t want to upgrade to WordPress 3.8 for some reason). Note: this doesn’t hide the upgrade message at the bottom or in the “Updates” section. It’s purely for hiding the annoying nag message at the top.